Lately the suffix ‘-ability’ has been popping up in my daily life much the way Outlook’s calendar reminders pop on to my screen and tell me I’m late. Again. Ugh. Dunkability?! Well, the last apparently is not a word according to whichever dictionary governs WordPress’ blog editor (even WordPress isn’t a word! Inane! ), but the definition is still discernible: an oreo cookie has dunkability into a glass of milk, a bratty little brother has dunkability into a pool of water, and now even your phone* can possess dunkability into a toiletbowl full of, er, whatever. 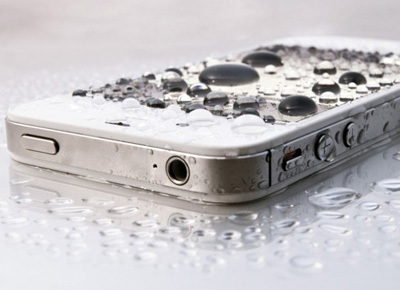 The company Liquipel boosts that with a coating thinner than a strand of the human hair, your phone will be forever protected from bathtubs, puddles and pitchers of beer (although the company still does not recommend the wild tests they have videoed on their site). The technology doesn’t come cheap and you’ll have to part with your device for two days, but if you’re someone who’s phone ends up sitting in a bag of rice drying out more often than not, well, then, this may be the best invention since the invention of your phone! Whoopie!